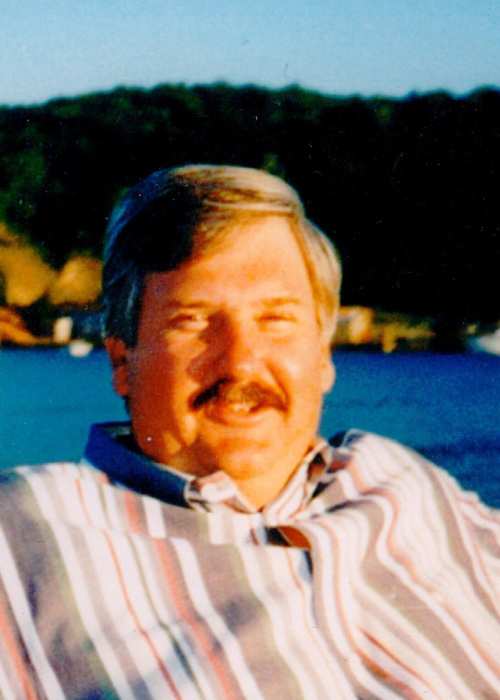 Obituary for James N. Sproatt | Hartzler-Gutermuth-Inman Funeral Home Inc.
James N. Sproatt, 70, of Elkhart, died January 27, 2019, at St Vincent Heart Center of Indianapolis. Jim was born on November 12, 1948 in Blue Island, Illinois, to James A. and Dorothy S. (Steinhart) Sproatt. His parents preceded him in death. Jim graduated from Elkhart High School in 1967 and Tri-State University (now Trine University), Angola, Indiana in 1971. He pledged Kappa Sigma Fraternity, Theta Xi Chapter in the winter of 1968 and has remained active as an alumnus and very much treasured the friendships with his Kappa Sig Brothers. He married Pamela K. Walters on January 20, 1973. She preceded him in death on June 13, 2003. He then married their longtime friend Kathleen Ritter on February 3, 2004. Jim is survived by his Wife, Kathleen, Daughter, Regan Beasley (Kevin), Elkhart, Step Son, Jeremy Curtis, Cassopolis, MI, Step Daughter, Julia Curtis, Elkhart, Sister, Lynn Allison (Tom), Elkhart, Mother In Law, Beverly Walters, Elkhart, Brother In Law, Tim Walters (Cheryl), Queen Creek, AZ, Sister In Law, Vickie Sievers (Rolla), Middlebury, Grandchildren Aubrey and Majeztik Curtis, and kept a special place in his heart for his nieces and nephews, Lindsay, Jana and Mitchel. He is also survived by Max and Murphy Martin, his rescue Dachshunds, who were always by his side and miss him terribly. Fifty-five years ago, Jim started working at Days Corporation as a teenager mowing grass and sweeping the floors and through enormous hard work, opportunity and twists of fate, eventually was President and C.E.O. and owner of the Company. So very important to him was that this 100+ year old company thrive and endure beyond his stewardship with the same gentleman’s code of honor in conducting business that was so much a part of him. Jim had the heart of a teacher and provided opportunities and assistance to so many people. He was always the first to provide help to family, friends or anyone who needed a helping hand. He was so admired and will very much be missed by so many. Jim had a huge heart and a personality that filled the room. The absence of him is huge. The loss of him leaves a hole in our lives and our hearts. He served his Country as a proud member of the Army National Guard, considered himself very much a patriot and had a great love for his country. Visitation will be from 2-5 Friday, February 8, 2019 at Hartzler Gutermuth Inman Funeral Home, with a Memorial Service to Follow at 5 PM. There will be a reception at The Matterhorn following the service. Memorial contributions may be given to: Humane Society of Elkhart county, 54687 CR 19, Bristol, IN 46507 or Mosaic in Northern Indiana, 1415 Lincolnway W, Ste. D, Osceola, IN 46561.